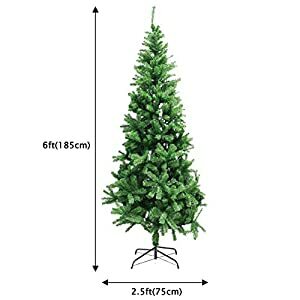 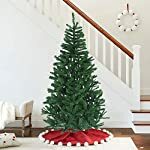 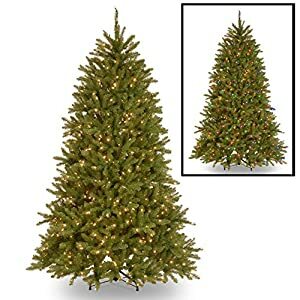 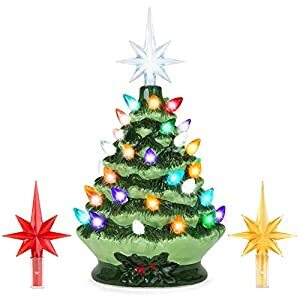 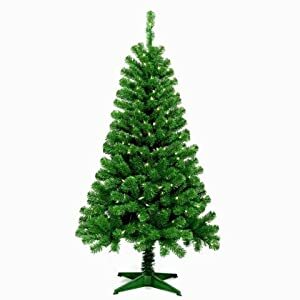 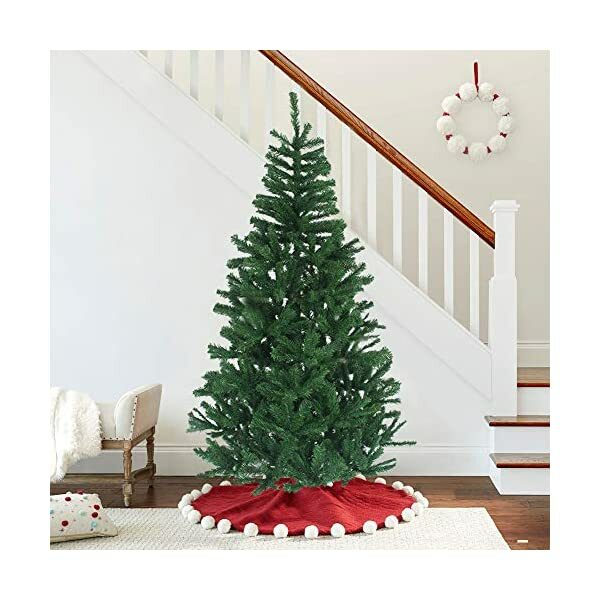 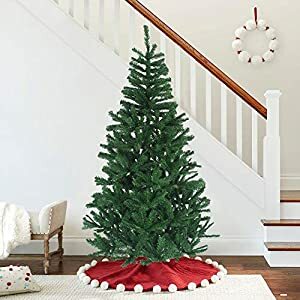 ❄Classic Artificial Trees: 6 ft hinged artificial Christmas tree is bushy and emerald-green color. 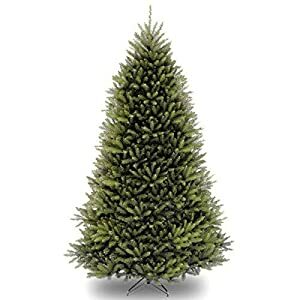 The tree’s outer tips are accurately moulded and colored to mimic a real spruce tree. 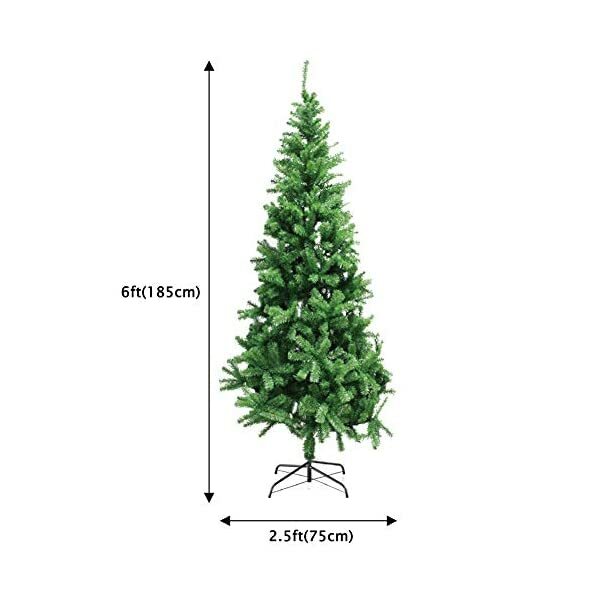 ❄Easy Assemble: Simple to set up, the hinged branches drop easily into place requiring a small amount of ‘tweaking’ to create the fullest effect. 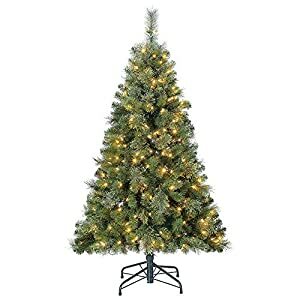 Tree comes in three, slot-together sections and a metal stand is included. 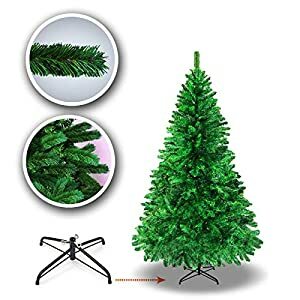 ❄Foldable Metal Stand: The stand is made of heavy duty iron, tree bottom iron pipe with scratch-resistant leather case to protect floor and legs. 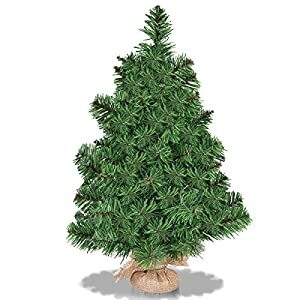 ❄Non- toxic: This product is completely non-toxic to the surroundings and to individuals. 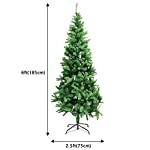 The hinged branches of this Christmas tree facilitate for convenient folding and storing options. 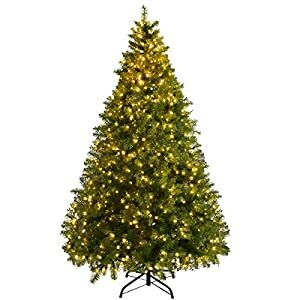 Can be used once again every Christmas. 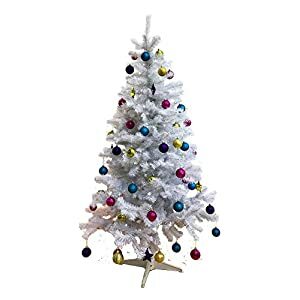 ❄Note: 100% SATISFACTION GUARANTEE! 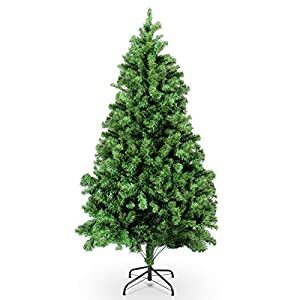 If for any reason you’re not 100% SATISFIED, please let us know and our customer service team will help you RETURN OR REFUND.